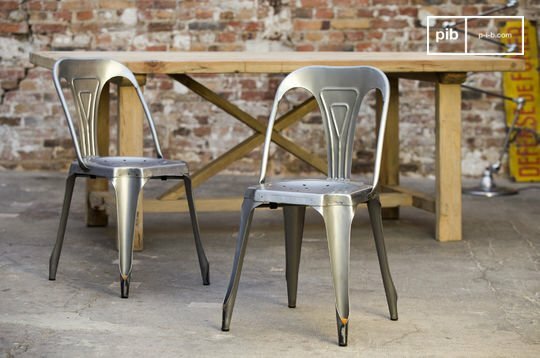 Often made of wood or metal, the bistro chairs often combine aesthetics and practicality. Sometimes stackable, some models are perforated. Historically, these holes allowed water to fall through the bistro chairs on a rainy day to the terrace of a Parisian café. 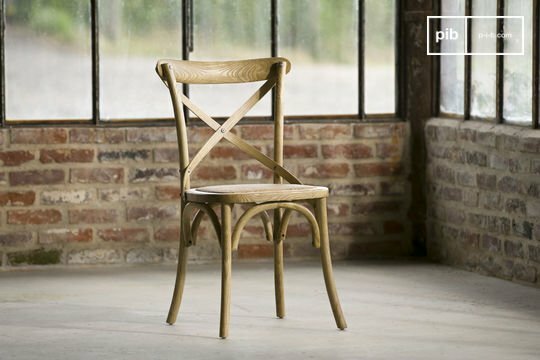 Since then, the design has remained and today's restaurant chairs have retained this legacy from the first half of the 20th century. 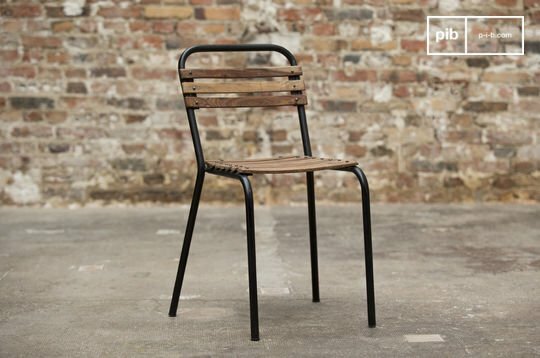 With their original style and resistant materials, restaurant bistro chairs can be used in a variety of situations and in all types of interiors: from retro-chic to authentic industrial, browse our selection and choose the chairs that best suit you. 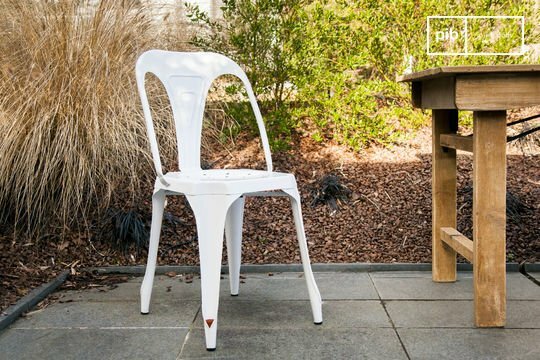 If you have a large, imposing dining table which combines raw wood and weathered metal then choosing matching bistro chairs can be a tricky task. 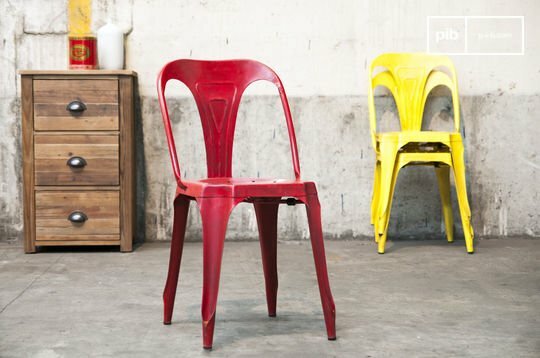 Remaining colourful and sleek, modern chairs are rarely tailored to the authentic, raw style of a vintage table. 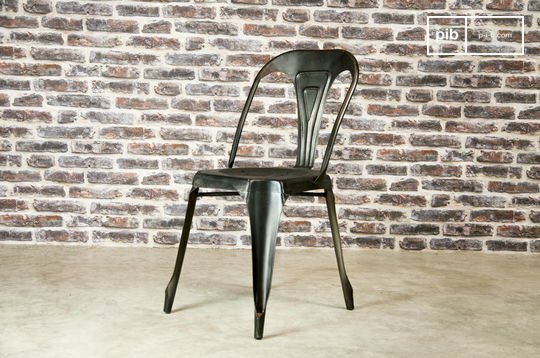 With their original design and style that inspires vintage touches, bistro chairs are definitely worthwhile interior decorative elements. 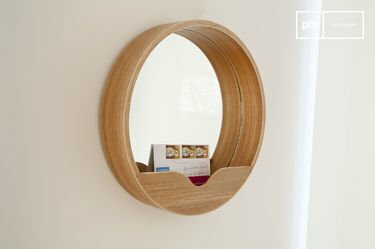 In order to ensure a flawless durability, we have selected with care a variety of models made from materials known particularly for their strength; noble wood and metal in all its forms. 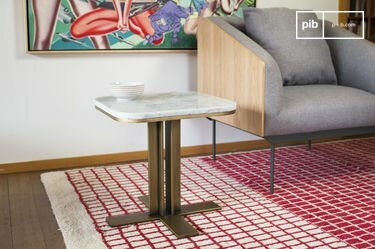 Painted, brushed or patinated versions offer a multitude of possibilities. 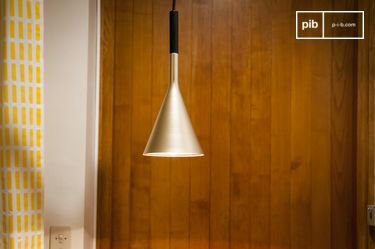 We have taken particular care to the finishes in order to satisfy all of your needs. 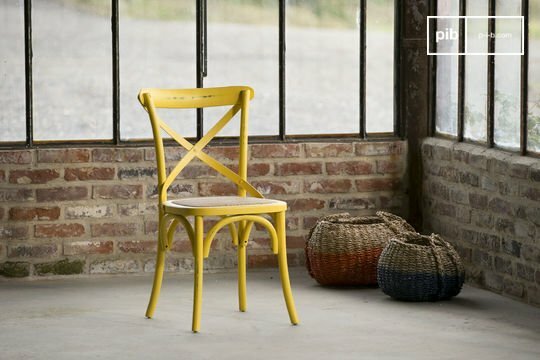 Whether you are an individual buyer or a professional, these bistro chairs guarantee a perennial purchase, bringing vintage tones into any style of interior. 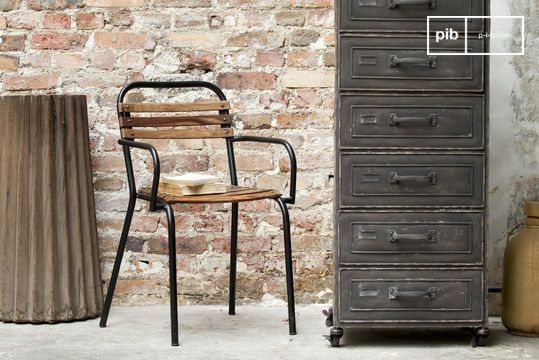 In an industrial room or a simple retro environment, these chairs add clear aesthetic value. Their timeless style will last for decades without losing their original appearance. In addition, they require little maintenance and the feet are protected by caps so as to avoid marks on your floor.